For as long as we exist, an ostrich occupies a central position in our labels. So when ARTIS, the nearby zoo, offered us the opportunity to adopt one we happily said yes. We call her Esasa, which means something like ‘be happy’ in Zulu. Two years ago, Esasa still moved somewhat timidly among the other inhabitants of the savannah ARTIS opened just before. She has moved since and now shares another area with another ostrich and two nilgais, an Indian antilope also known as blue bull. Clever move as the ostriches are reported to look ‘very happy’ and ‘more relaxed’ in their new spot. 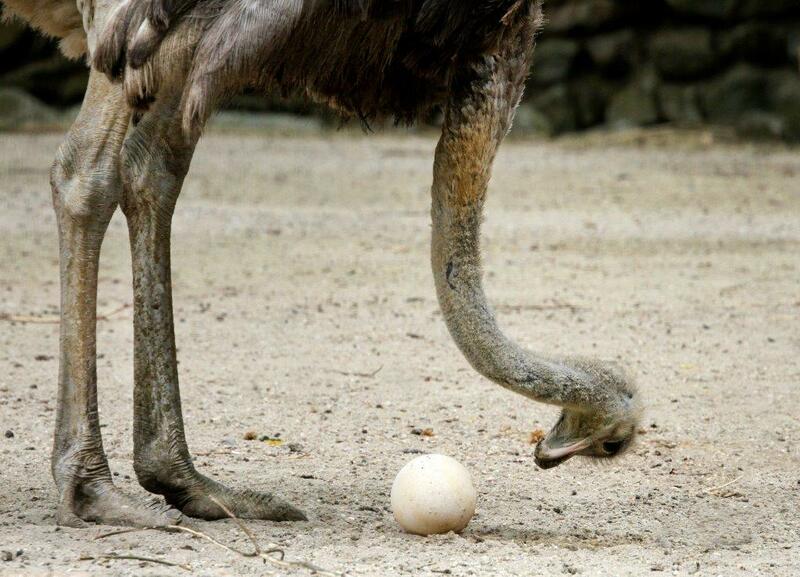 The move away from the more crowded savannah area had Esasa develop into a more confident ostrich. One indicator of Esasa’s well-being are her egs. She produces about one every other day. Anyone familiar with the meaning of our name understands this makes us extra proud. Esasa’s eggs serve the common good of the zoo at large as they are added to the diets of other animals. In return, Esasa gets access to one of ARTIS’ edible gardens, where she prefers to snack on the different varieties of flowers. Esasa doesn’t live very far from our tasting room, which is the perfect spot for beer and a snack after a visit to the zoo. A ten minute walk only. Come over.